Are you getting tired of living in the same apartment in such a long time? 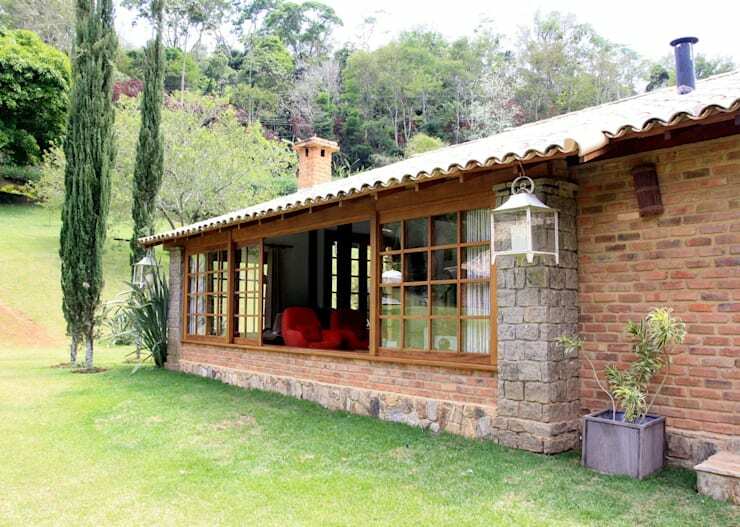 Like us, have you always dreamt of leaving the busy city life and move to your dream hideaway in a quiet countryside? If you've answered yes to both questions then here is a little home you'll most probably love. So, without further ado, let's look together at these 11 countryside home projects to inspire you to have one yourself! 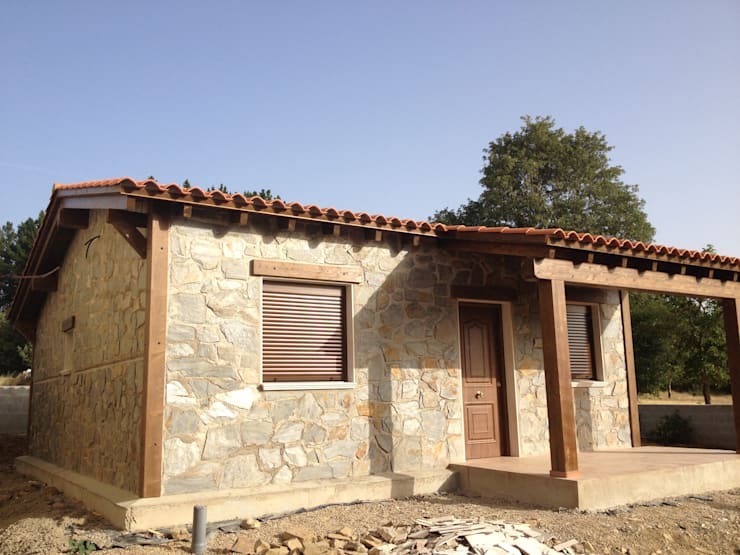 The first village house is a small stone house with a single floor in earth tones. In addition, there is a neat porch where you can chill. 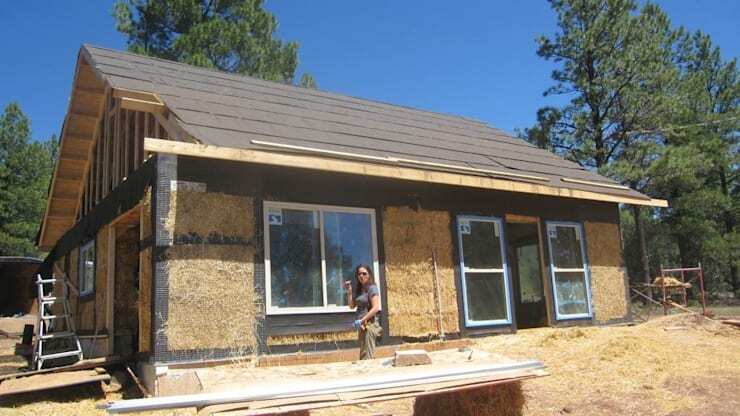 Consider the idea of this mud brick house, designed with straw bales and walls, this is both an economical and environmentally friendly choice. 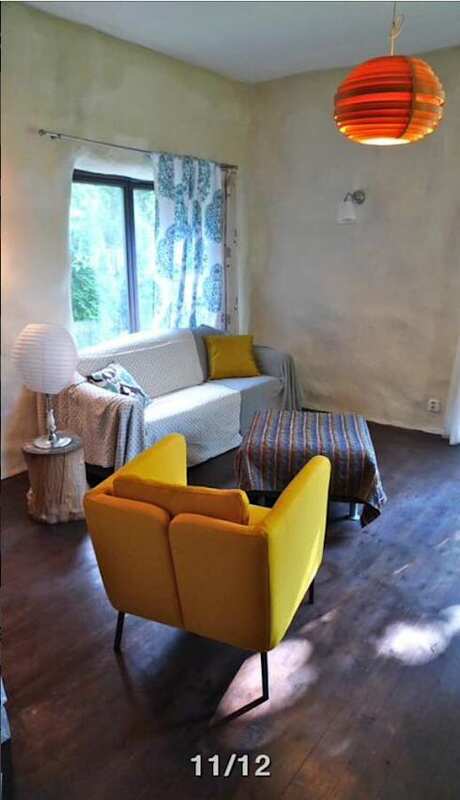 Be surprised with the interior of this mudbrick house which is colorful and modest. Also, furniture made of both modern and natural materials is striking. Next up is a village house project in England. The majestic roof of the building is embedded with English architectural features, covered in dark wood veneer and coupled with a large interior volume. 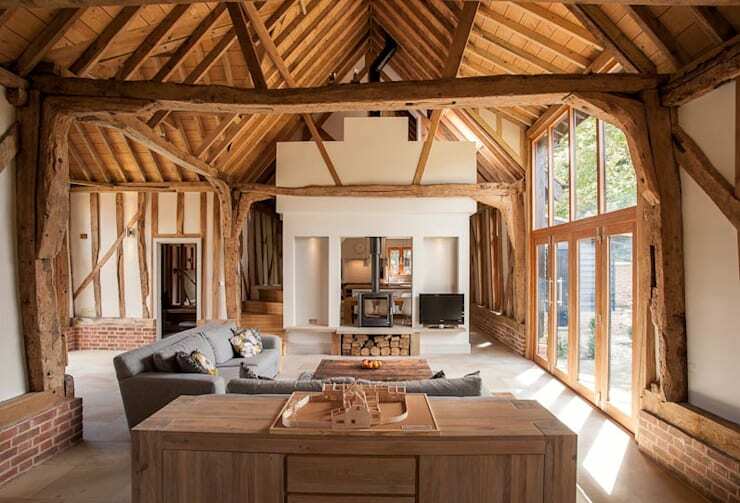 The interior has a high roof and the wooden entrances in almost every corner look impressive. Take note of the wall design which provides smooth transition between the kitchen and the living room – that is such a creative and smart idea! Another example is in Portugal. The white exterior is remarkable in the case of an old village house transformed into a modern structure. Other than that, the door, steel gate and windows in red highlight the white walls. Because the room is narrow and long, the interior is felt more like a house. For house decorations, white walls and red doors blends with furniture that is mainly dark wood. Another model we have here is in Italy. 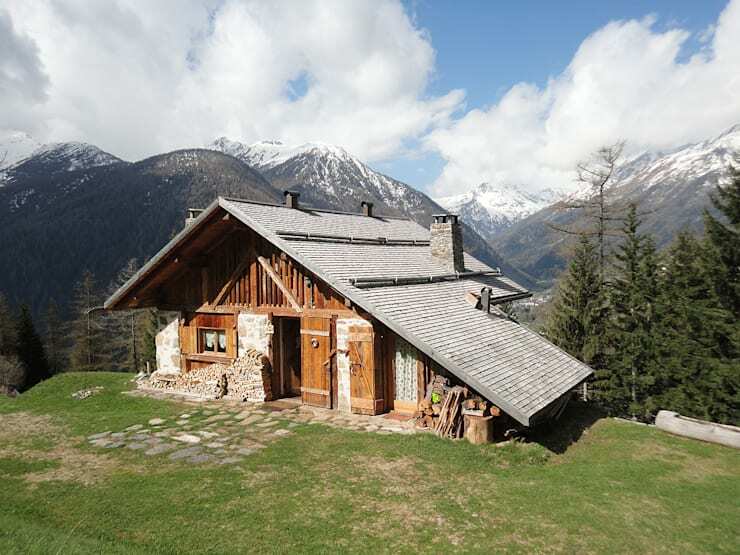 Stone and wood elements are used in construction of this village house which overlooks a charming mountain view. This one is a classic traditional style. 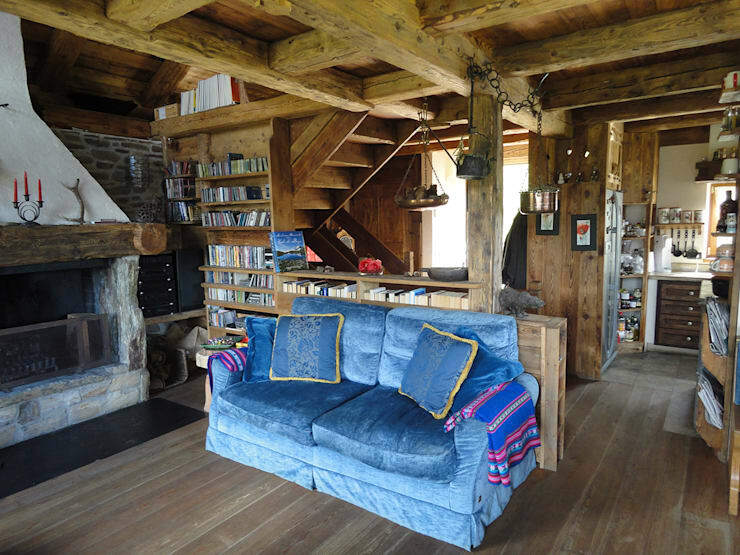 The house where wood is intensively used is attracting attention with its eye-catching decor. The blue velvet chair is a true spot-on, being stylish with many accessories and surrounded small shelves. The stone fireplace is indispensable for such kind of houses. 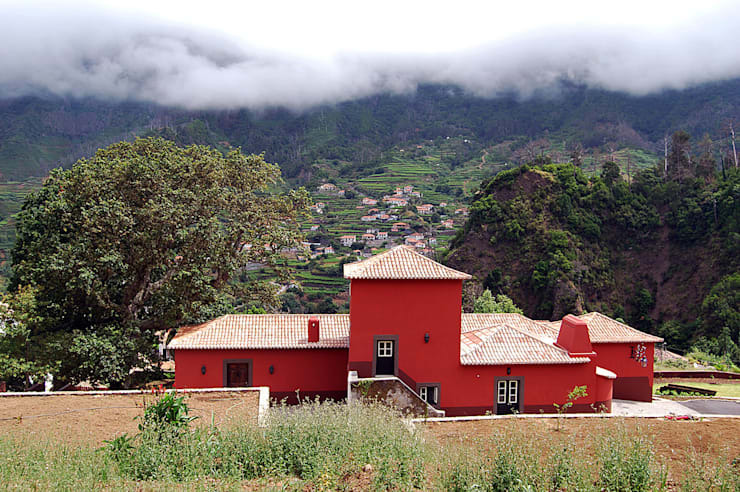 The house, which is the result of old villa restoration work, can be described in one word - perfect. 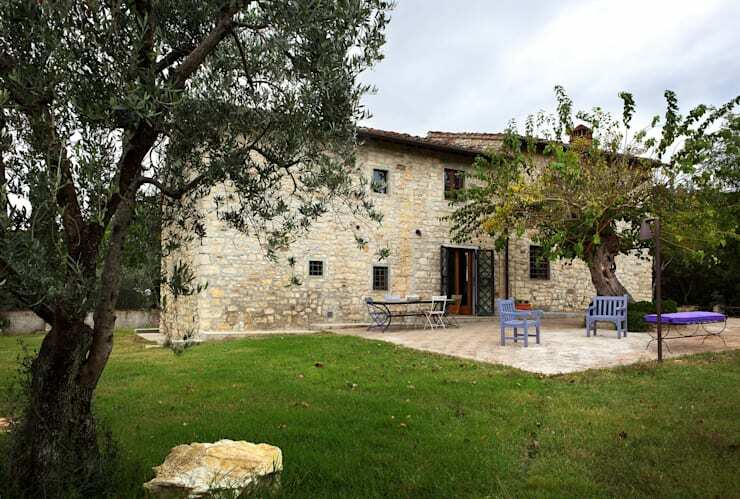 It is now completely contemporary, which used to be ‘ruined stones’ before transformation. 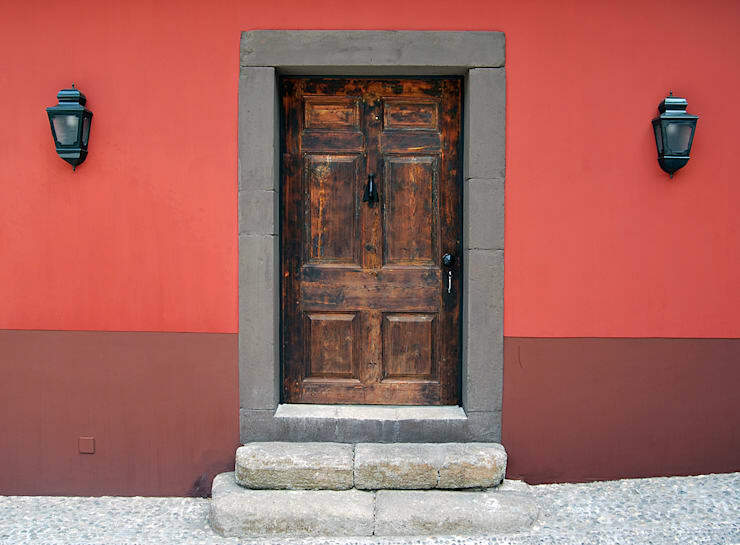 In the picture we see the entrance of the house; the stone frame and the solid wooden door are complemented by the dark tile colors – one to accentuate with, and one to blend with. This example is from Turkey. 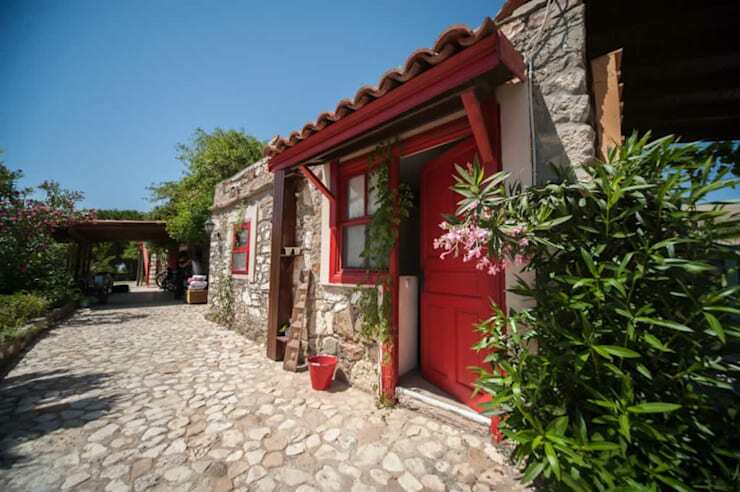 The stone house built in Gümüşlük Village has two floors and is a wonderful option to spend a vacation. 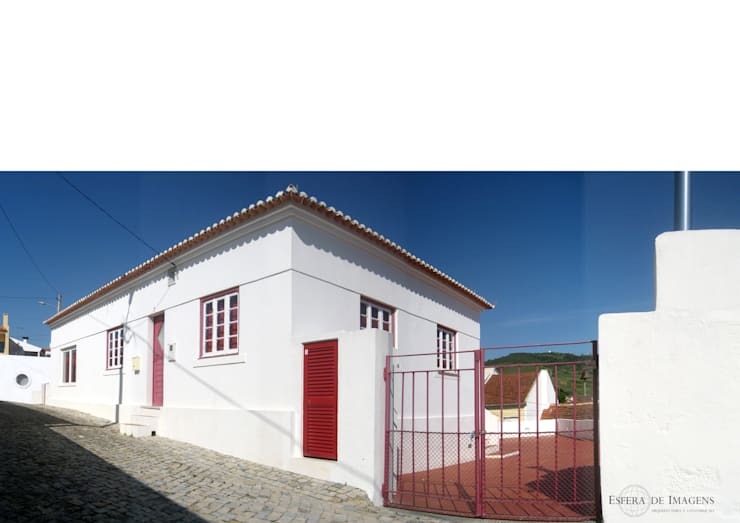 The two-storey building we see in the photo is more of a modern example than a traditional style house. Particularly vivid exteriors come to the forefront with its solid color and wrought iron fences. 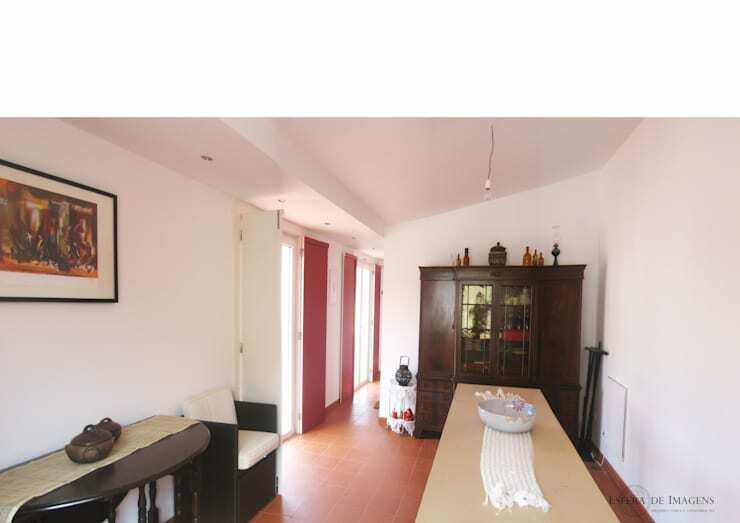 The interior of the house is truly contemporary as seen in the picture. 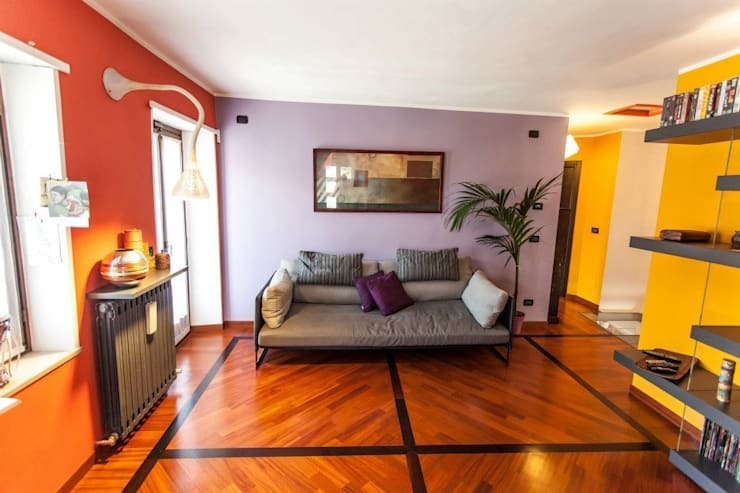 If you prefer using shades of purple, orange- and yellow for your walls or any other furniture, try matching it with wooden parquets for your floor. 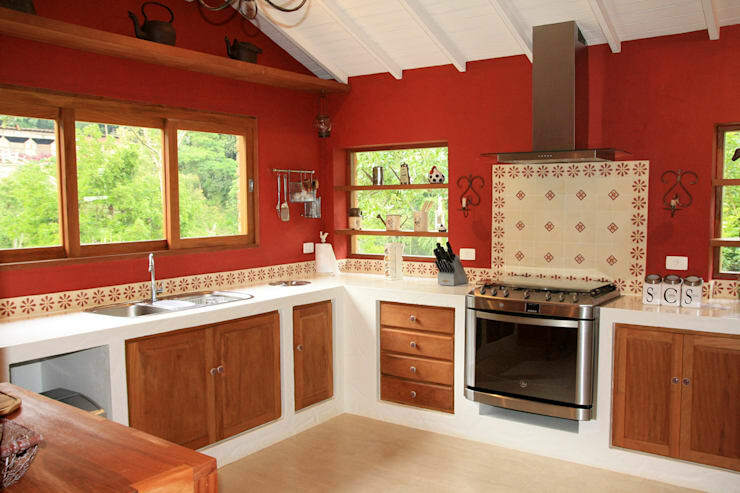 The kitchen is very attractive with its colorful walls and flowers placed on each corner. Using L-shaped countertop makes it a ‘handy kitchen’, abundant of storage space. 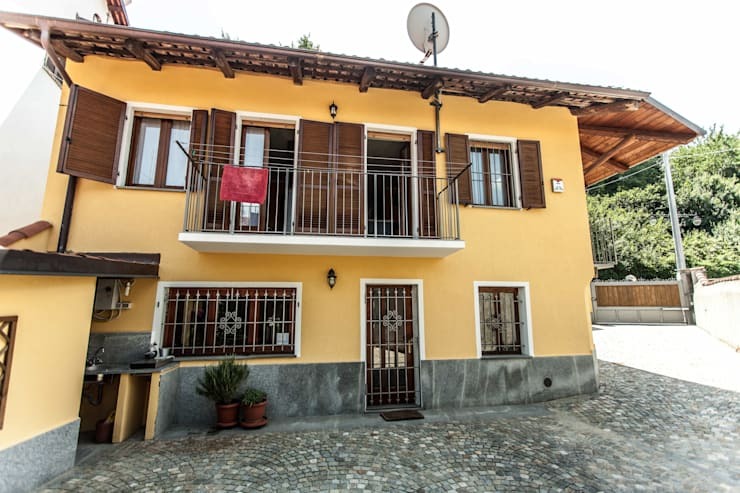 The two-storey stone house has an alluring and homey aura and is inviting with its spacious veranda. Such a beautiful place with an amazing view for an afternoon cup of tea! Now, this is a modern kitchen that one would not expect having seen a traditional stone house view at front. The effect of lighting gives a contemporary appearance. 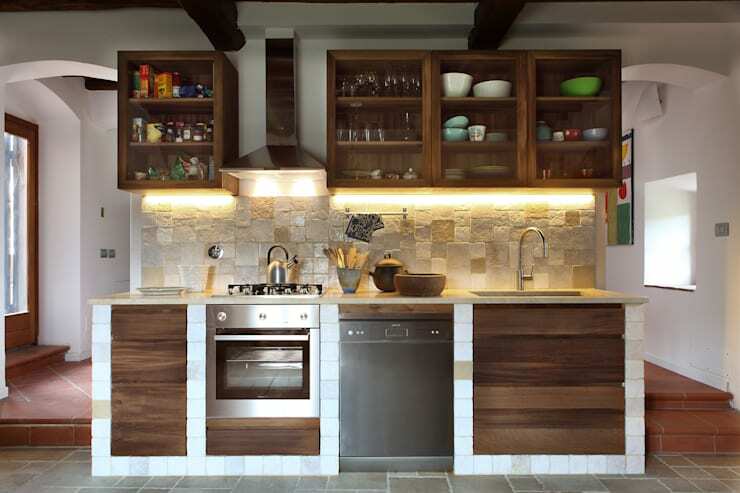 See more modern kitchen styles here at homify! This time, this house is designed with earthy elements such as stone and wood elements. In addition, the sliding glass adds modernity in the design, so as makes up a plenty of open space. 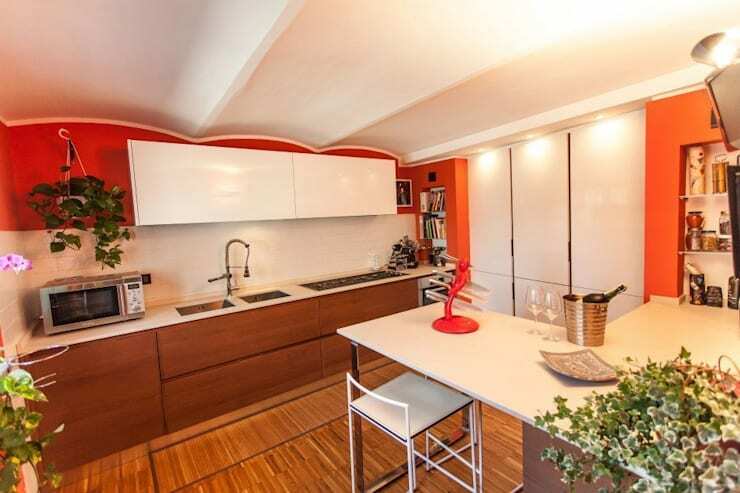 The Evin kitchen has a warm ambiance with the combination of its red-colored walls, patterned ceramics and wooden cabinet doors. At the same time, there are many windows which allow entry of fresh air, adding a refreshing atmosphere. 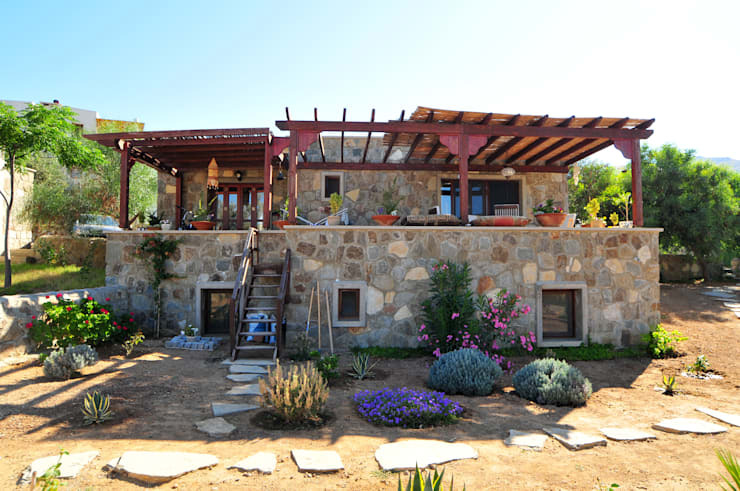 Our last example is a delightful stone house also built in Turkey. 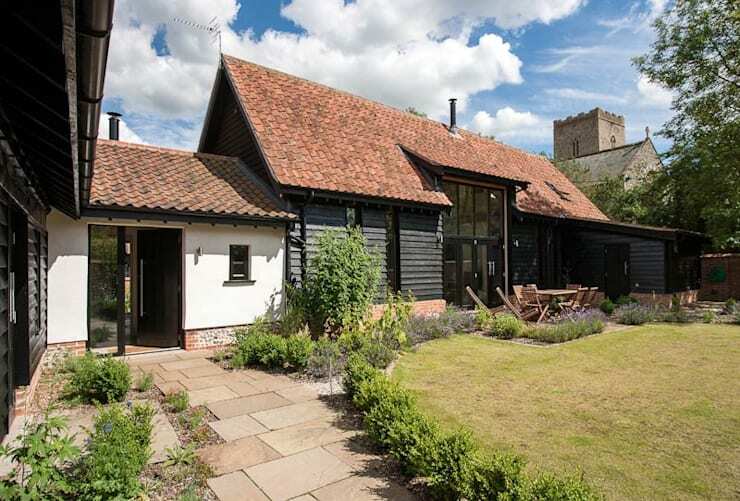 This is definitely a countryside home you’ll want to spend the rest of your life in to!